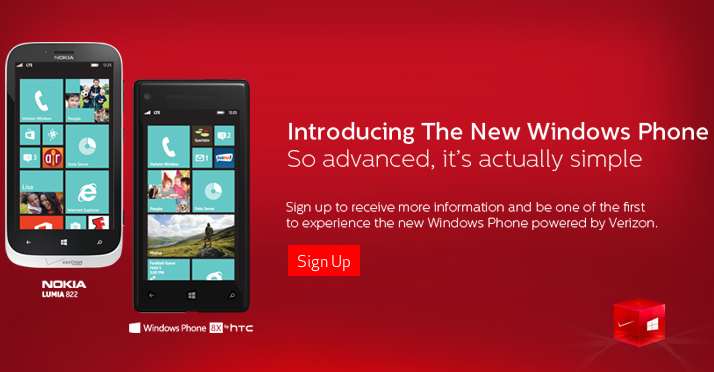 Still, you know things are changing when you see a nice ad right on Verizon Wireless's front page with the line "Introducing The new Windows Phone. So advanced, it's actually simple." We dig that tag line. And we're glad to see Verizon onboard with Windows Phone. Thanks, Andrew K., for the tip!